Oceania is a region made up of thousands of islands throughout the Central and South Pacific Ocean. It includes Australia, the smallest continent in terms of total land area. 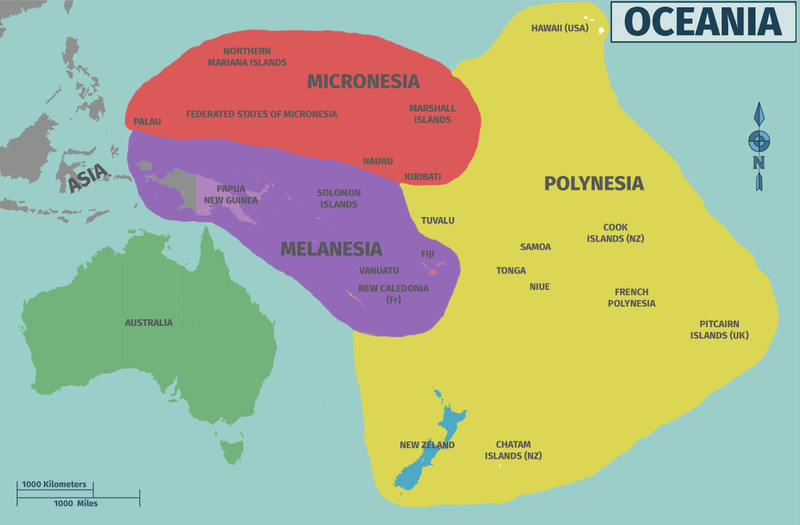 Many of the nations in Oceania are Small Island Developing States (SIDS). Many scientists say that Oceania is more vulnerable than most parts of the Earth to climate change, because of its climate and geography. The heavily coastal populations of the continent’s small islands are vulnerable to flooding and erosion because of sea level rise. An international team of researchers has produced this graph of ocean levels, for a period of time going back to around 500 BC. 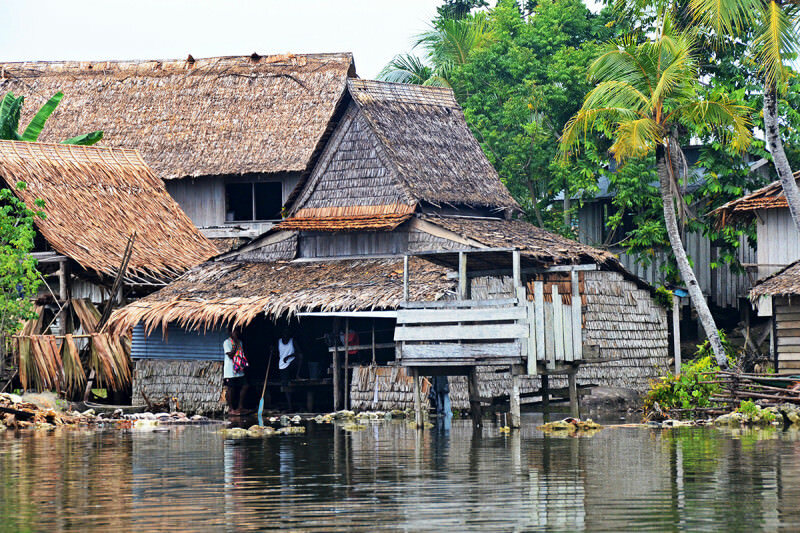 Five of the Solomon Islands have been swallowed whole by rising sea levels between 1947 and 2014. "It’s a perfect storm,” says Simon Albert of the University of Queensland. “There’s the background level of global sea-level rise, and then the added pressure of a natural trade wind cycle that has been physically pushing water into the Western Pacific." Albert and his colleagues analysed aerial and satellite images from 1947 to 2014 to study the effects of creeping sea levels on the coastlines of 33 reef islands in the Solomons. Five islands present in 1947, ranging in size from 1 to 5 hectares, had completely disappeared by 2014. Another six islands had shrunk by 20 to 62 per cent in the same period, confirming anecdotal reports of people living in the area. 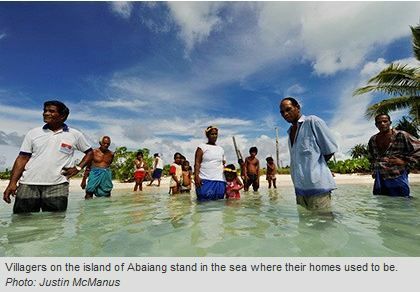 The most populated of these, Nuatambu Island, is home to 25 families, who have witnessed 11 houses wash into the sea since 2011. Fiji’s shoreline has been receding about 15 centimetres per year over the last 90 years. Samoa has lost about half a metre per year during that same time span.